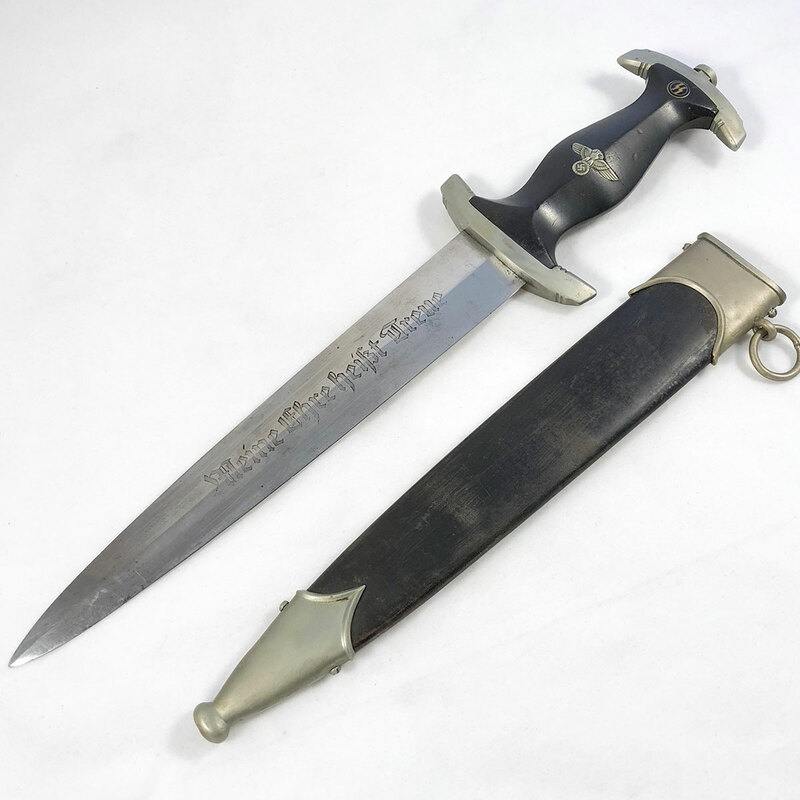 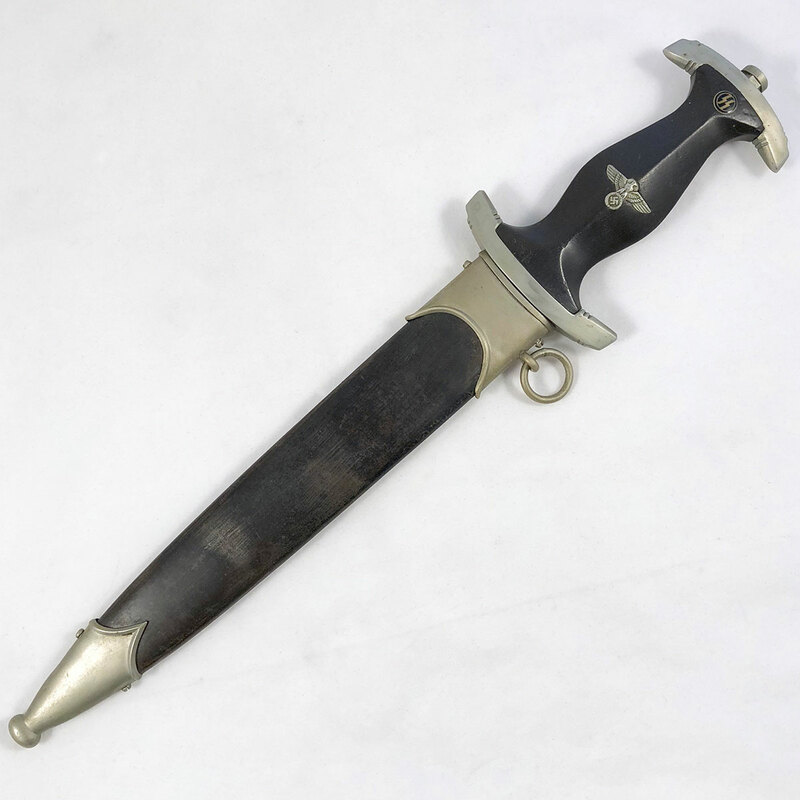 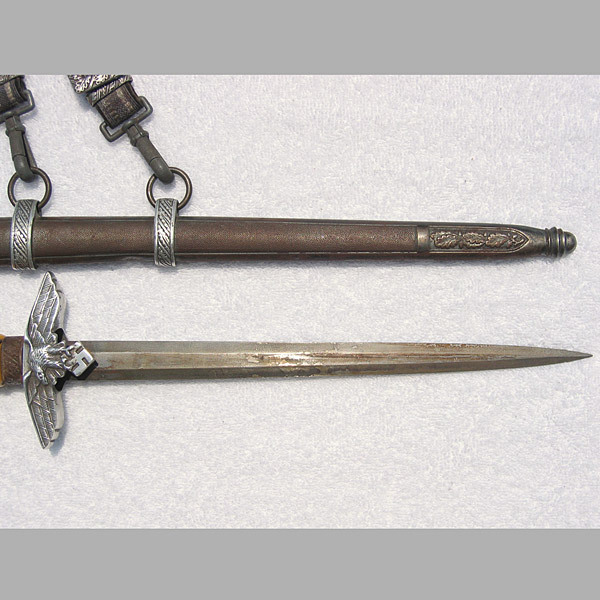 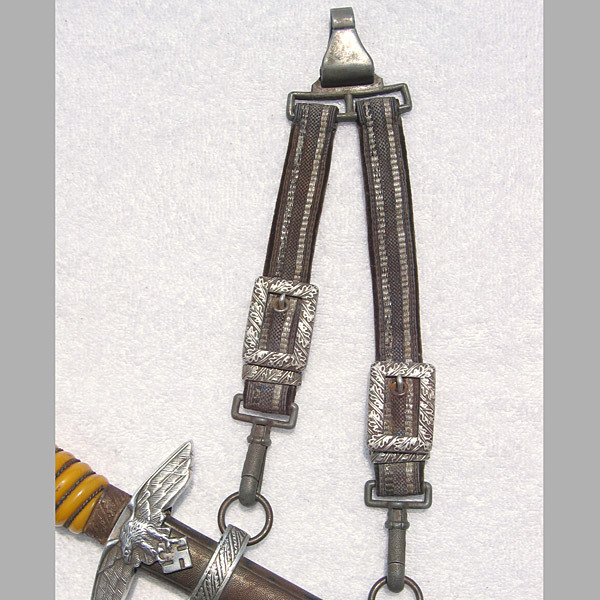 A very nice Veteran acquired WW2 Luftwaffe Dagger by Alcoso. 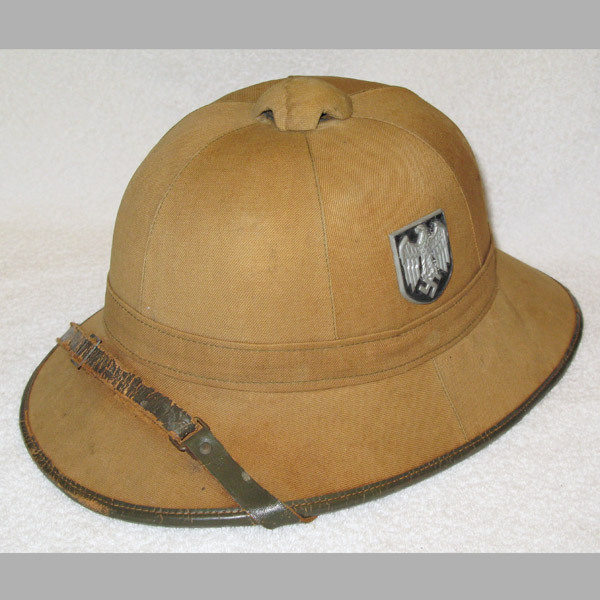 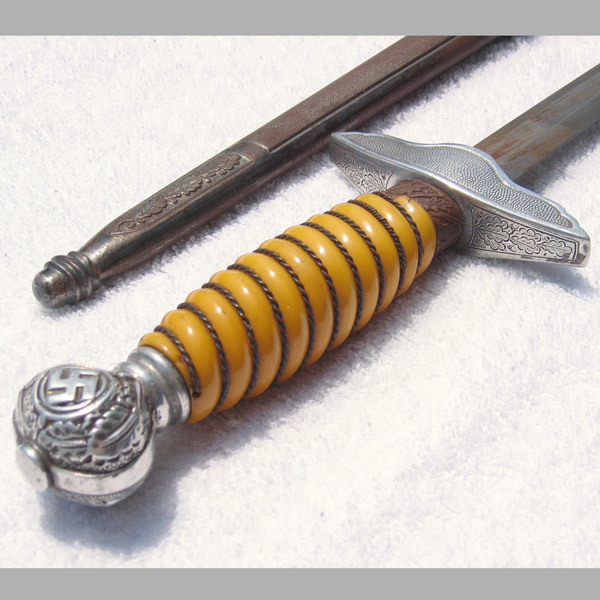 Pommel cap and cross guard are in very nice condition, with only very modest wear. 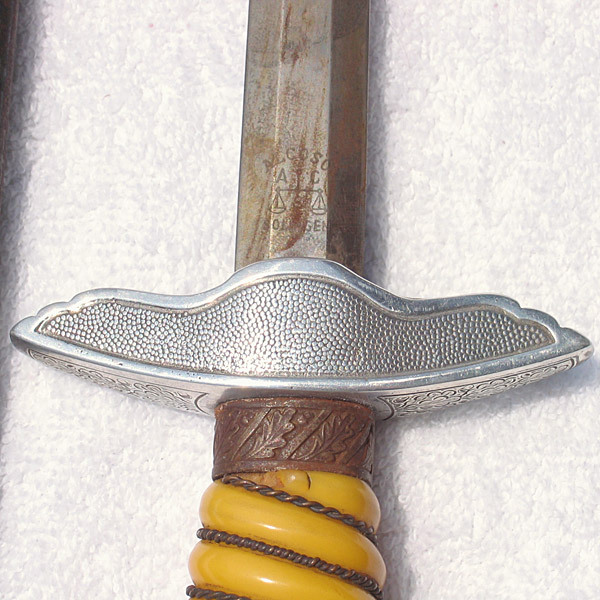 The grip shows only very minor nicks, but no cracks or notable chips and is otherwise solid. 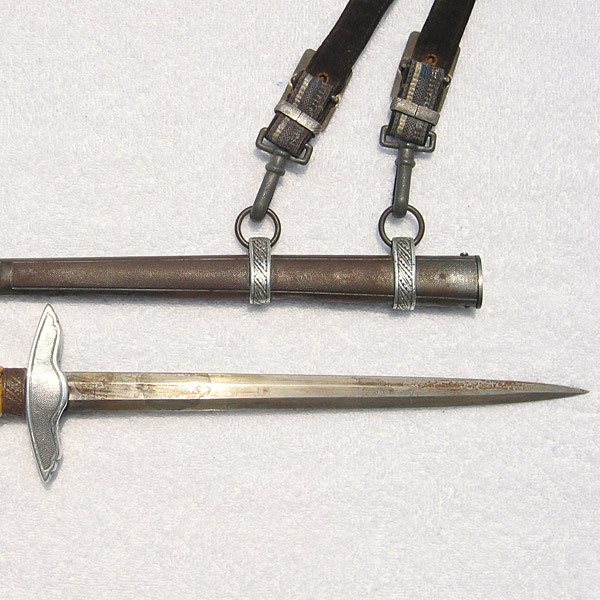 The scabbard and ferrule show an honest amount of surface rust, and sadly the scabbard has a decent size dent between the hanger rings. 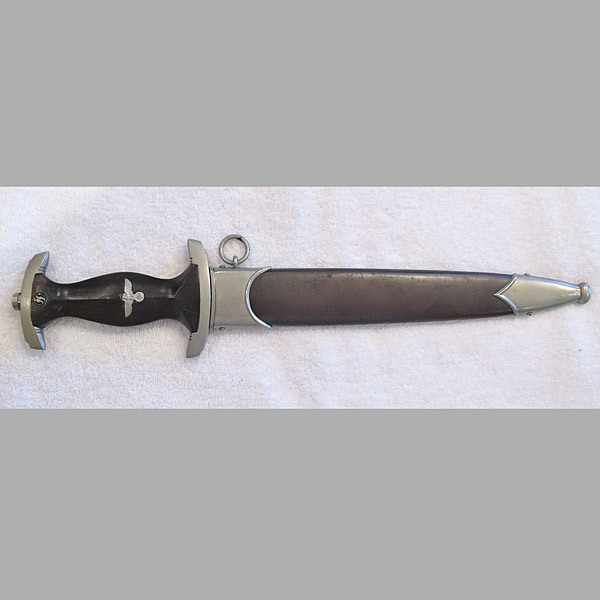 As for the blade, it shows a good deal of discoloration that may simply be dried casmoline. 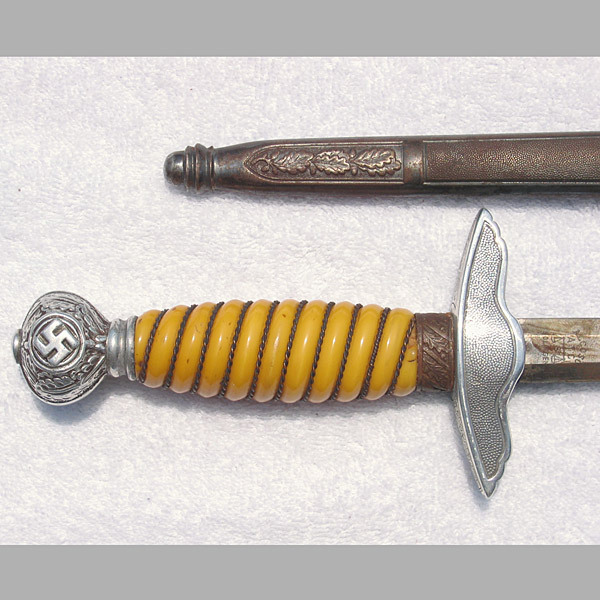 It is completely uncleaned so there is no way to tell without making an attempt at cleaning the blade. 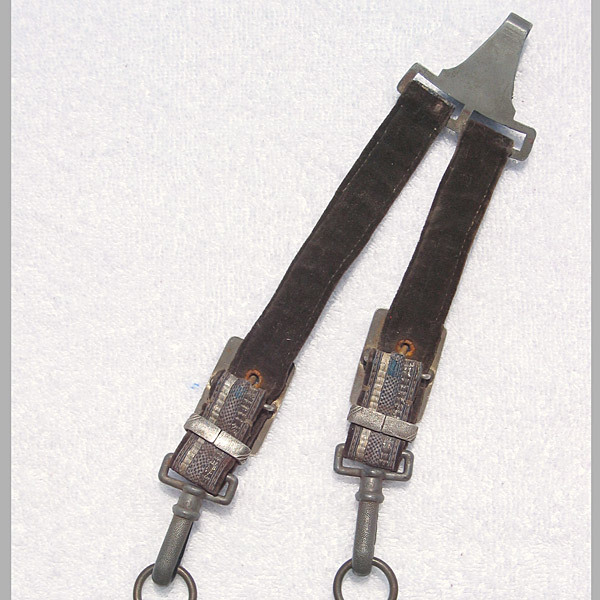 The hangers set is in great shape, with average wear to the metal fittings, and no notable stitching or fabric issues. 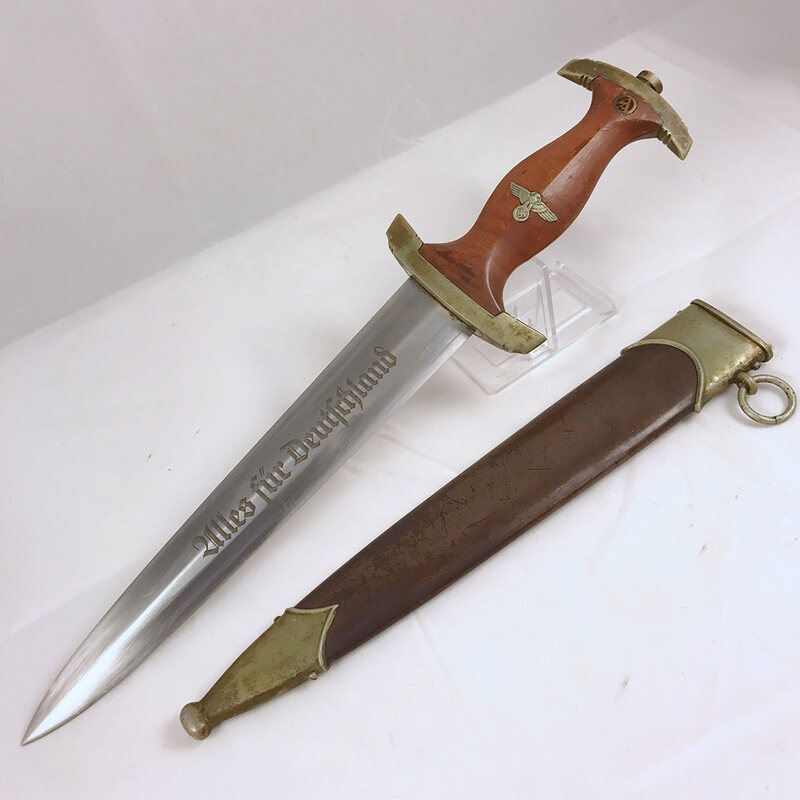 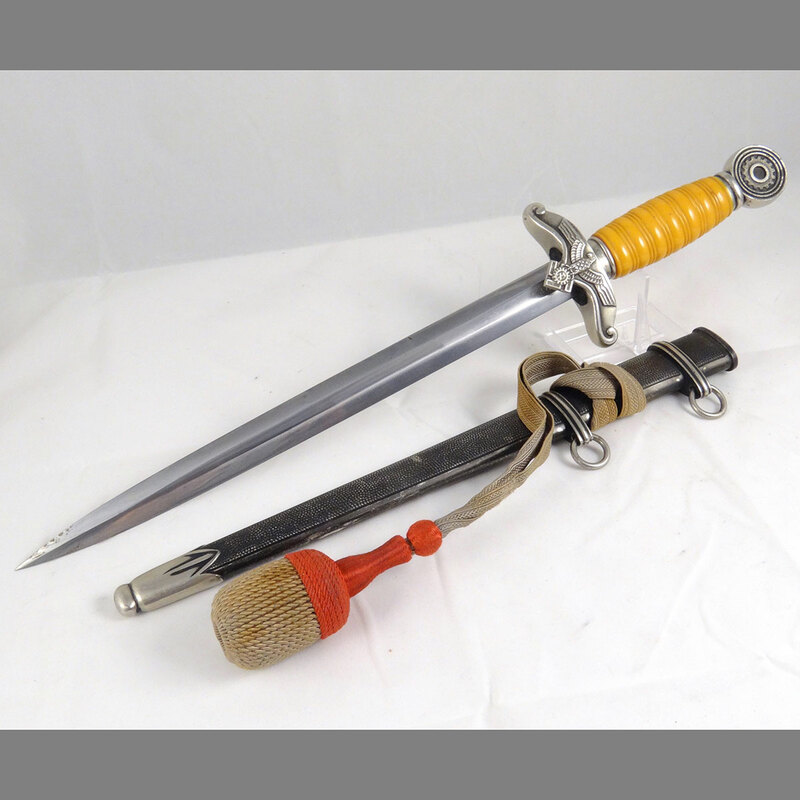 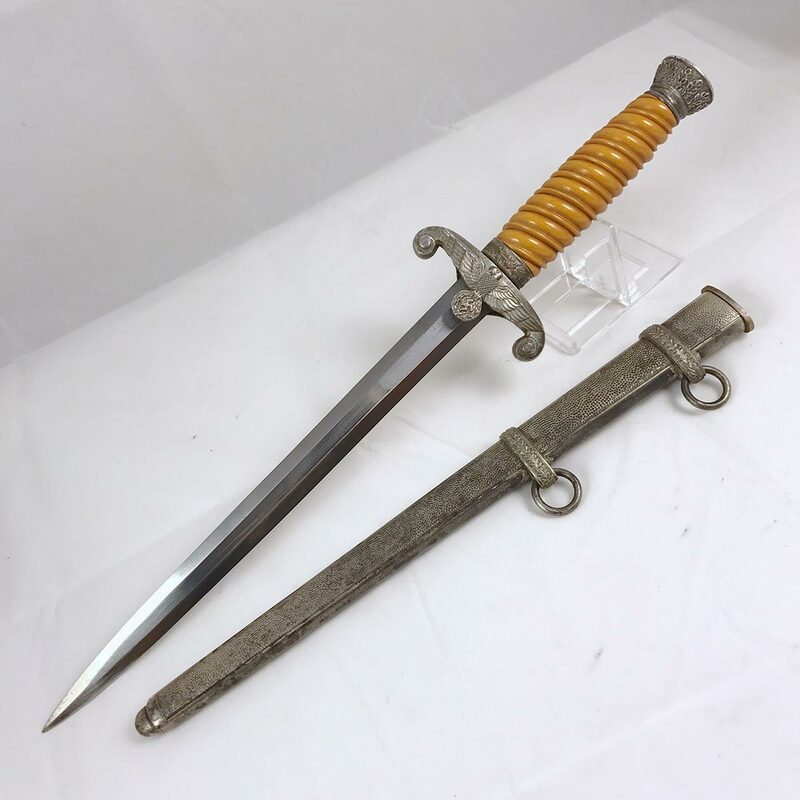 A nicely aged Gottlieb Hammesfahr ground Rohm SS Dagger here for the collector looking for a great dagger at a great price! 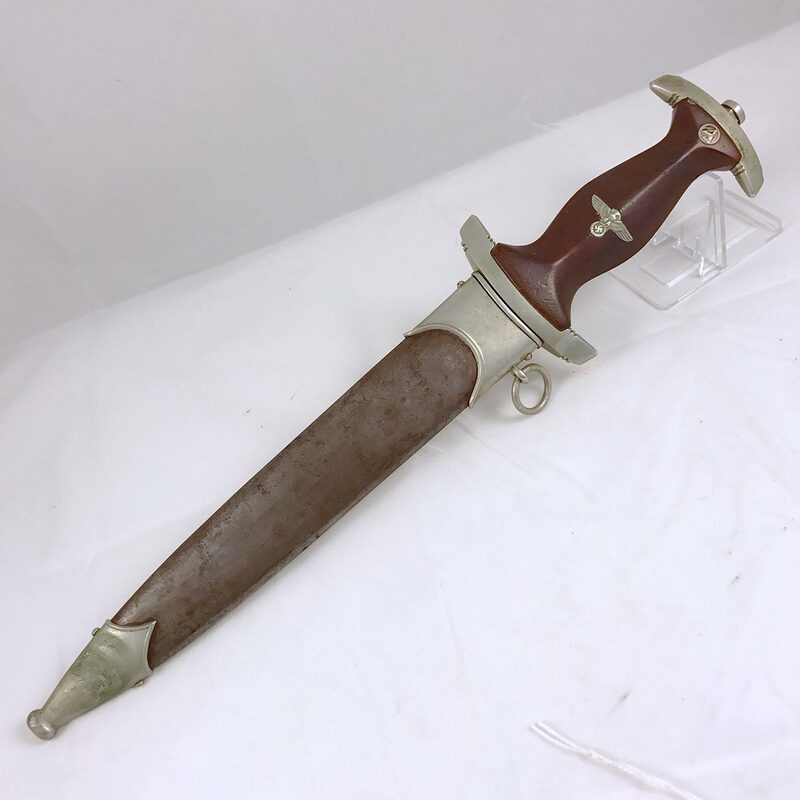 The grip has a couple of small chips on the reverse that are obvious in the photos, however the front of the dagger, which is the side that will display, is nice and free of chips and cracks! 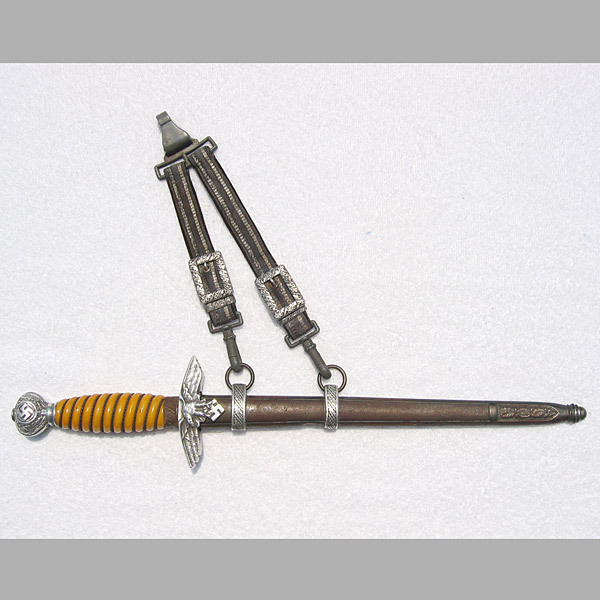 These TeNo Leader Daggers are in our opinion some of the nicest German daggers out there. 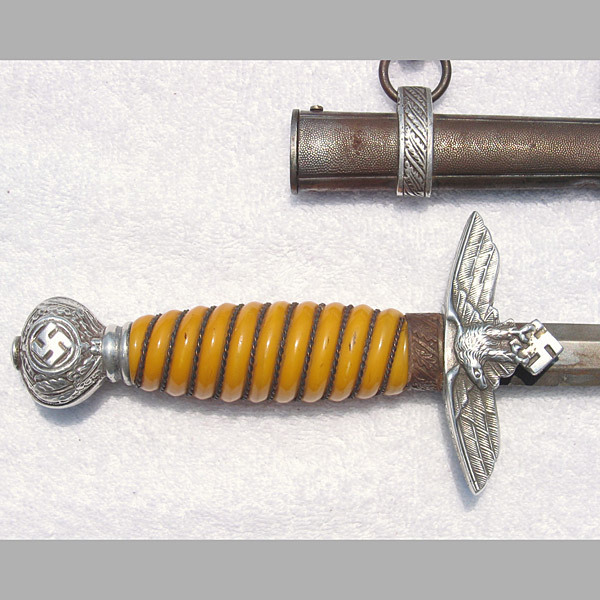 Very well designed with some striking characteristics unmatched by any other dagger of the WW2 period. SA Daggers by Christianswerk don’t come around too often so we’re thrilled to be providing this one for sale. 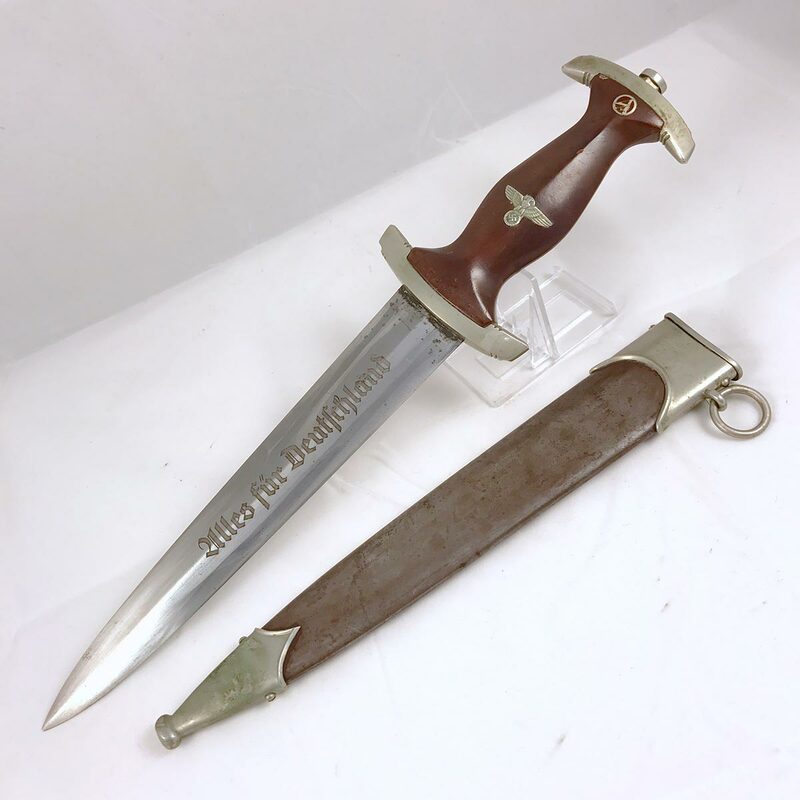 The grip is a nice chocolate brown tone with a few minor dings and one very small eighth inch surface chip to the left of the SA roundel near the corner of the grip.